Atlanta, GA, October 1, 2018: Paracha Entertainment will be presenting a series of art and classical concerts throughout the year beginning with Indie Routes on October 7 and Mirza Ghalib on November 2, both at the brand-new state-of-the-art Sandy Springs Performing Arts Center, also known as City Springs. The two concerts will be the first Indian events at this venue. Indie Routes Band is the finest performing act showcasing Indian Sufi & Pop numbers with modern presentation yet retaining the richness of musical heritage. 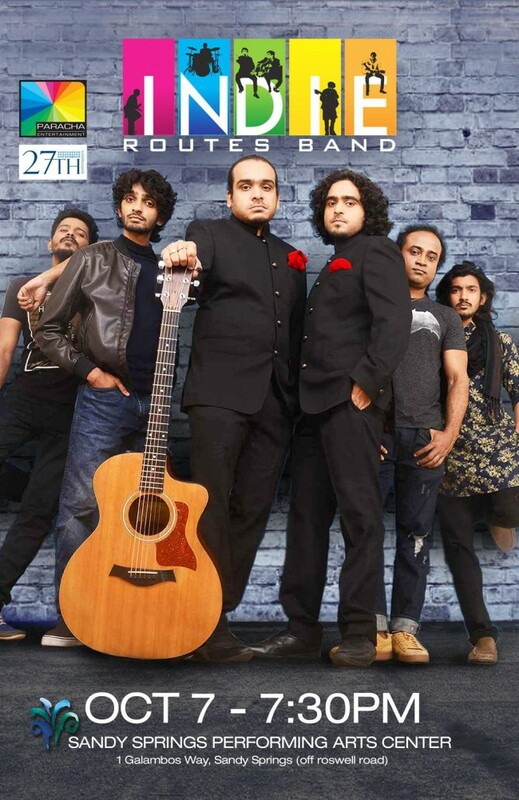 A music endeavor by two ingenious brothers Shreyas and Abhas and their band of talented musicians, Indie Routes celebrates the brilliance of Indian music with a contemporary touch. These gifted singers reiterate their commitment to their art through a series of songs that will leave you transfixed. The energy and vitality of this duo makes the musical experience unique indeed. Their experimentation with acoustics while retaining the original charm of the songs they select is indeed extraordinary. This entertaining and enriching experience helps the audience rediscover the glory of Indian music in a modern context. 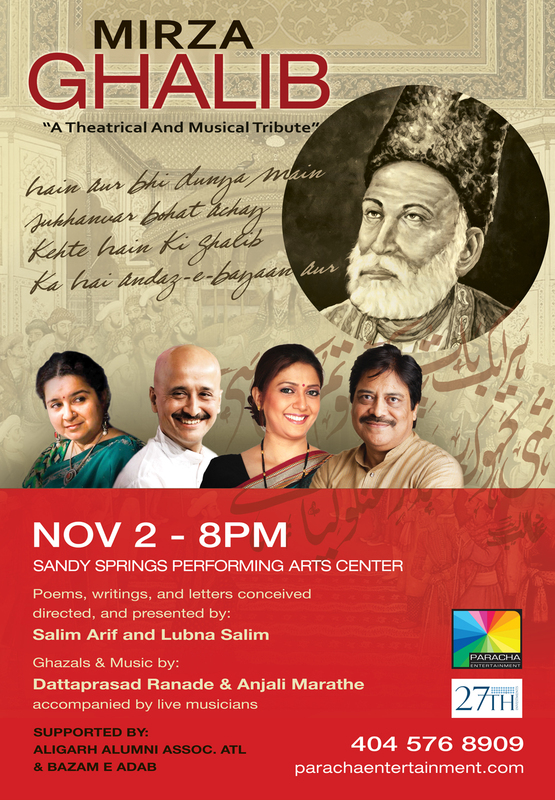 Admirers of the legendary Urdu poet Mirza Ghalib can look forward to a soulful musical tribute to him at the Sandy Springs Performing Arts Center on November 2. Directed and presented by Salim Arif and Lubna Salim, the evening will include some of Ghalib’s immortal poetry, writings and letters. Celebrated ghazal singers Dattaprasad Ranade and Anjali Marathe, accompanied by an ensemble of musicians, will sing tributes to the celebrated historical literary icon. Ghalib’s white-bearded and tall fur hat sporting visage is known even to those who don’t understand Urdu poetry. Although adept at Persian poetry, it is his Urdu ghazals — a total of 235 — he is most known for, especially their rendition by the subcontinent’s most famous singers – K.L. Saigal, Mohammed Rafi, Habib Wali Mohammad, Mehdi Hasan, Ghulam Ali, Jagjit Singh, Begum Akhtar, Suraiyya, Farida Khanum, Lata Mangeshkar, Asha Bhosle, Abida Parveen and down to Rahat Fateh Ali Khan. His poetry spanned both simple and complex construction, and dealt with issues of longing, identity, expression, existence and loss, besides the staple of love. It is said that no other poet has ever captured the complexities of human psychology as perfectly as Ghalib. Each time you read one of his couplets, you discover a new facet, a new meaning to the words. 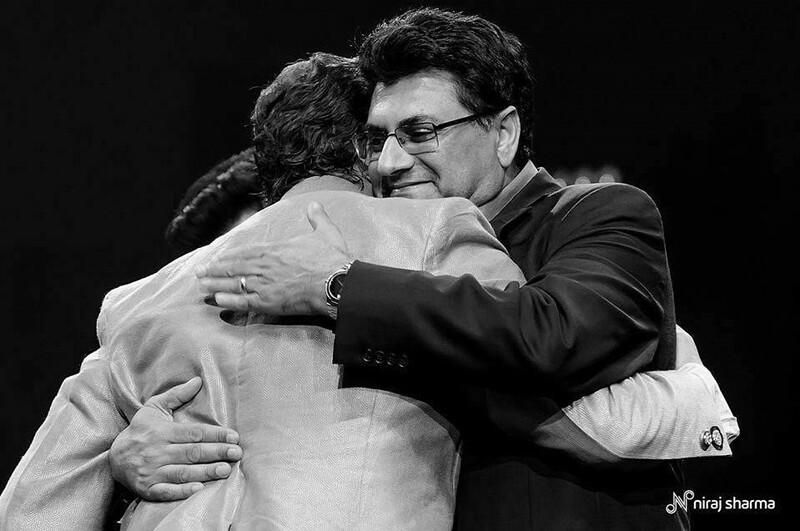 One of the simplest begins “Dil-e-nadaan tujhe hua kya hai/Aakhir is dard ki dava kya hai” and has that immortal couplet: “Main bhi munh mein zabaan rakhta hoon/Kaash poochho ki mudda kya hai”. On the other hand, there is one beginning: “Bazeecha-e-atfaal hai duniya mere aage/Hota hai shab-o-roz tamasha mere aage”. Then there is one beginning “Aah ko chaahiye ik umr asar hone tak…” with its evocative verses “Aashiqi sabr-talab aur tamanna betaab/Dil ka kya rang karun khoon-e-jigar hone tak” and “Ham ne maana ke taghaful na karoge lekin/Khaak ho jayenge ham tum ko khabar hone tak” and ending “Gham-e-hasti ka ‘Asad’ kis se ho juz marg ilaaj/Shamma har rang mein jalti hai sahar hone tak”. But one of his most moving ones — perhaps due to Begum Akhtar’s soulful rendition — is “Dil hi to hai na sang-o-khisht dard se bhar na aaye kyun/Royenge ham hazaar baar koi hamen sataye kyun” and going on to “Dar nahin haram nahi dar nahi aastaan nahi/Baithe hai rahguzar pe ham ghair hame uthaaye kyun” and ending “‘Ghalib’-e-khasta ke bagair kaun se kaam band hai/Roie zaar-zaar kaa, kijiye haaye-haaye kyun”. It is is not entirely unalloyed despair, for there are also couplets like “Jab vo jamaal-e-dilfaroz, surat-e-mahr-e-nimroz/Aap hi ho nazaarasoz, parde mein munh chupaye kyun” – or loosely “Why does that one whose beauty enlightens the heart, with a gaze like the midday sun/Whose look is itself burning veil her face”. And then, can we forget “Hai bas ki har ik unke ishaare mein nishan aur/Karte hai mohabbat to guzarta hai guman aur” and ending with “Hai aur bhi duniya mein sukhanvar bahut achchhe/Kahte hai ki ‘Ghalib’ ka hai andaaz-e-bayaan aur”. Ghalib had a couplet for every emotion, which is as relevant today as they were two centuries ago. ‘Mirza Ghalib in Atlanta’ will present these deepest emotions beautifully through shayari and ghazals. Husband-wife duo, Salim Arif and Lubna Salim are well known in the Indian theater and cine world. Salim, an alumnus of the National School of Drama (NSD), New Delhi, is one of India’s most popular directors of the Hindi theatre scene. He is currently head of Production Design at the Whistling Woods International School of Film-making. He is also on the visiting faculty of several prestigious institutions including National School of Drama, New Delhi, Film and Television Institute of India, Pune, BNA, Lucknow, National Institute of Fashion Technology, Mumbai and National Institute of Design, Ahmedabad. Lubna is a popular movie and television actress, best known for her role as Leela Thakkar on the popular, long-running Hindi serial Baa Bahoo Aur Baby, and as the wife of Paresh Rawal’s character in the Hindi film ‘OMG – Oh My God’. She has appeared in many other popular television programs including Bharat Ek Khoj, Daaman, Chhatrapati Shivaji and Mera Naam Karegi Roshan. She has performed in many plays including Azar Ka Kwab, Atmakatha, Shyam Rang, Lakeerein and Mera Kuch Saman. The Atlanta presentation is supported by the Aligarh Alumni Association of Atlanta and Bazam-e-Adab, and sponsored by 27th Investments. Planning a trip to the us this summer?